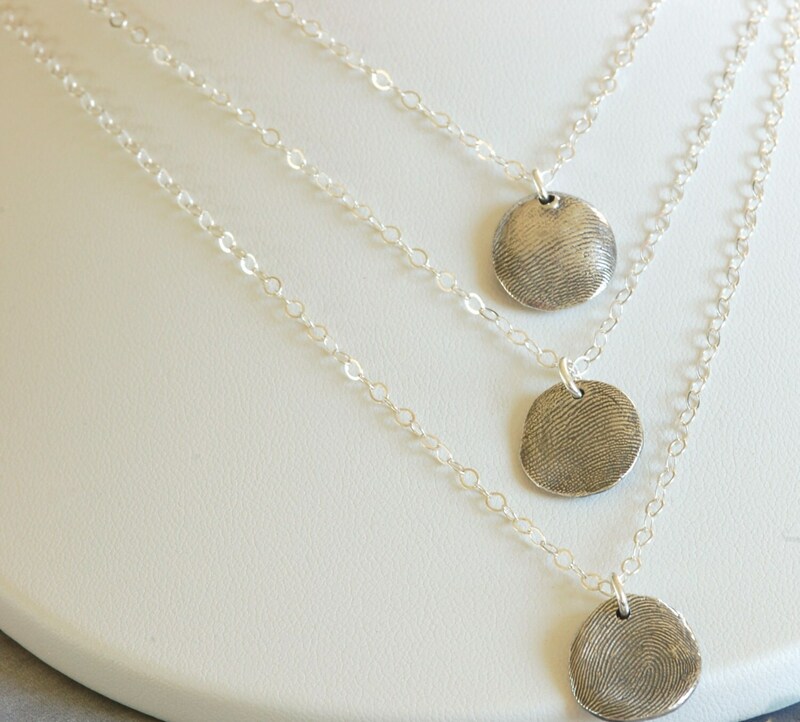 3 Tiers of sterling silver chain link brothers and sisters thumbprint charms together. 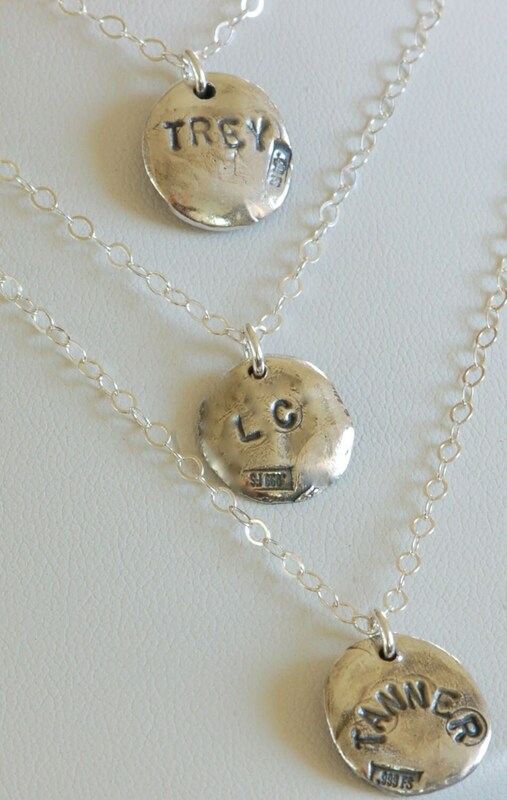 A beautiful way to wear love ones thumbprints. Made from fine silver. Specify length needed in convo. 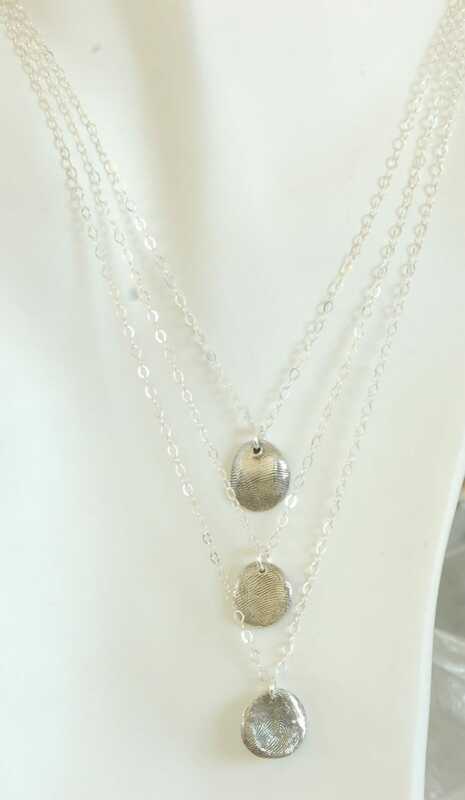 Price includes mold material and three thumbprint charms with chain, layered.